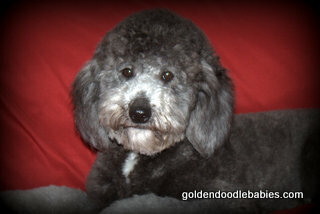 Antonia's Goldendoodle Babies - Older PuppiesCurrent as of 3-24-2019 ***Due to my husbands health, we will be rehoming several of our dogs over the next few months. Hoping to update the website with photos and info shortly.﻿ Adopting an older puppies has many advantages over an 8 week old puppy. 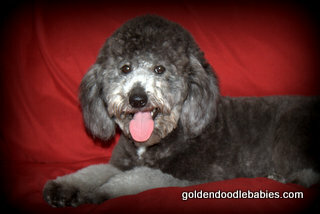 Many families would prefer an older puppy/young adult. **Dogs on this page are not always less expensive options, but an alternative to doing the 8 week old puppy thing that some families don't want to do, at similar pricing, sometimes less...however all vet work has already been done and included in the price of an older puppy. Older puppies/young adults do transition differently from an 8 week old puppy which is why we do require an appication be filled out to be sure we are placing them in the perfect home. **Please do not let the application scare you off, we simply want to find the right match for our dogs.﻿If interested, please email for an application. 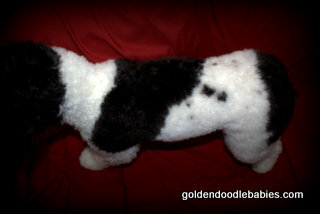 Adopting an older puppies has many advantages over an 8 week old puppy. 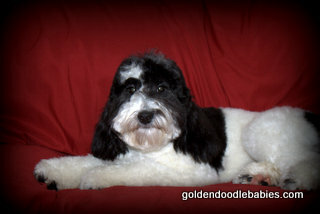 Many families would prefer an older puppy/young adult. **Dogs on this page are not always less expensive options, but an alternative to doing the 8 week old puppy thing that some families don't want to do, at similar pricing, sometimes less...however all vet work has already been done and included in the price of an older puppy. Older puppies/young adults do transition differently from an 8 week old puppy which is why we do require an appication be filled out to be sure we are placing them in the perfect home. If interested, please email for an application. 9 months old and 27 lbs. She has a STUNNING coat! She is incredibly soft and has a very loving personality. She has recently been spayed and is current on all vaccinations including rabies. Ellie is crate trained and well socialized. 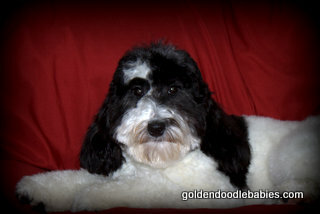 is a beautiful black and white parti F1b mini/petite goldendoodle who is 9 months old and 22 lbs. To show color pattern on her back.